Doctoral demands – does my education prepare me for them? The report highlights how the current trends in global economy and working life are changing the environment and the expectations of young doctors. In addition to providing scientific research skills, the doctoral education should meet this challenge by ensuring that future doctors have the necessary other skills. The report also suggests that universities should take different career paths into consideration more than before. More societal influence from doctors and doctoral students is expected to support the creation of jobs that require deep know-how. Employers view doctors as operational developers and capable of doing the most demanding tasks. Is our current doctoral education up to these challenges? 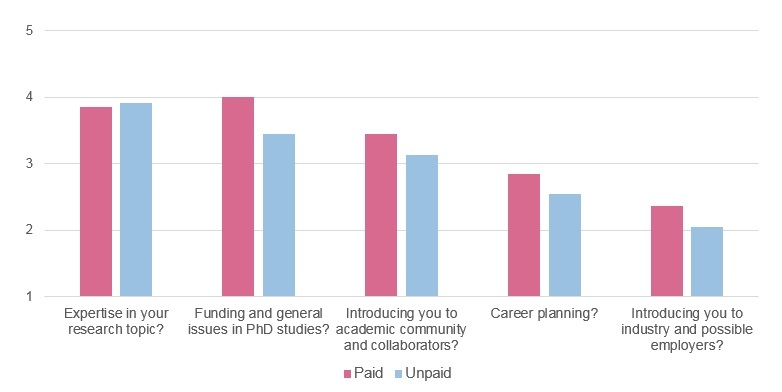 Results of 2015 doctoral student survey show that the support for career planning is lacking. In the survey, most respondents said that they do not receive enough career support from the university. This is clearly something that could be developed in all doctoral education programs. Doctoral student survey 2015. Have you had enough support from your University considering your career planning?. Number of respondents on the x-axis. Ever-decreasing funding, structural changes and the increase in competitive applied funding are stated as the main motivation for the changes in research careers. Trends in careers are the increase in international recruiting, the employment of doctors to other than academia and the use of tenure track(s). According to statistics as well as anticipated information, most doctors will not be employed by academia. In Finland, around 1% of the workforce has a doctoral degree. Increasing networking between universities and industry is also emphasized. This year Aallonhuiput is also making an effort to increase internal doctoral student networking in Aalto as well as co-operation with other associations and others. Not enough connections are formed between possible employers and doctoral students during the studies, according to another report from the ministry. This is also supported by the survey done by Aallonhuiput last year: Even though the doctoral students rate their supervisors’ academic prowess high, they rate the ability to introduce the doctoral student to outside connections low. From the national doctoral student survey 2015: How helpful has your supervisor(s) been? Give a grade from 1 (not at all helpful) to 5 (very helpful). All in all, a lot of demands are placed on doctoral students and people who already have their doctoral degree. Personally I think that we can meet those demands and that future doctors will exceed the expectations of the industry. As professional multi-taskers under pressure, we are a very capable bunch here at Aalto. However, even the strongest structure might collapse under too much pressure so we should also make an effort to have relaxing free time away from all our duties. Make sure that you remember to give positive feedback to your peers once in a while, because working on your doctoral thesis is one tough job. Remember to join our Facebook & LinkedIn groups and to follow us in Twitter (@Aallonhuiput_). If you’re not a member already, click here.